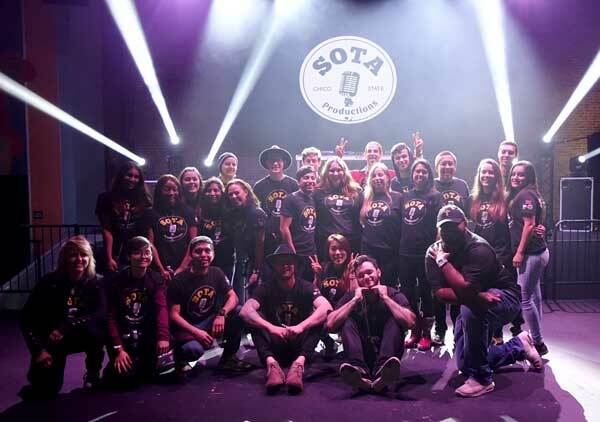 SOTA Productions, the practical learning and student-run component of the program, teaches students business skills and how to organize, manage, network, promote, and produce actual live shows and events on and off campus. Internship opportunities throughout the United States, Europe, and Asia also give students hands-on, real-life experiences and valuable insight into how the industry works. Internship opportunities throughout the United States, Europe, and Asia give students hands-on, real-life experiences and valuable insight in how the industry works. Getting experience is one of the best ways to investigate whether or not a career area is appropriate for you. There are many ways that you can “test” a tentative career choice during your college years. All of these opportunities provide you with insight into a career field. Experience is highly valued by a potential employer - even short-term or volunteer work. They are able to see your interest in a career field, as well as the career specific skills you have developed. Interest and skills are great indicators of your ability to contribute and succeed in their organization. While in college, these internships are taken for academic credit to build career related experiences. Each Music Industry student is required to complete at least one internship during their time studying at Chico State. For more information on Internships while studying here at Chico State click here. Students interested in any of our options should apply to the University during the initial admission application filing period of October 1 through November 30 for the following Fall semester. Applications submitted after November will not be accepted. If you have not yet applied for admission here are some additional web sites: California State University Chico’s main web page. You can find information about admissions and apply online(opens in new window) (this site includes links for freshmen, transfer students, international students, and graduate students). You can also email the University for information at info@csuchico.edu. The telephone number for Admissions is (530) 898-6321.